Vibrant, down-to-earth and detail-oriented, Rev. Katie Rouse loves collaborating with couples to design an inspired ceremony that resonates deeply with their values and vision for the road ahead. As an Officiant, the hallmark of Katie’s style is how she carefully listens with an open and attentive mind. A knowledgeable and creative facilitator, she’ll skillfully guide you and your partner in thoughtfully exploring and choosing the right words, symbols and traditions to craft a spiritually significant rite of passage -and- joyful celebration of your marriage. Couples from all walks of life choose to work with Katie because her bright personality, embrace of diverse worldviews, and knack for polishing the practical ensure that everyone will feel welcomed, honored and at ease at your ceremony. 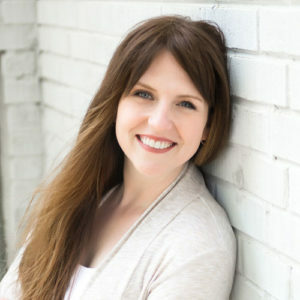 Amidst an increasingly noisy and distracted world, Katie’s faith is grounded in the power of big questions and quiet moments to help every person connect with their innate wisdom and higher knowing. She began performing weddings in 2010 and especially enjoys incorporating five element theory concepts to bring harmonious balance to each ceremony. 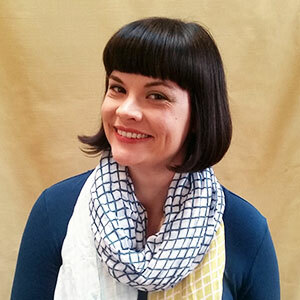 Katie has worked in and around the non-profit sector for more than a decade in a variety of roles, with particular expertise in program development for mental and behavioral health organizations. Her professional passion is helping small, mission-driven organizations build effective practices for meaningful outcome measurement. When not working, you can often find Katie in the audience in Baltimore’s Station North Arts District, drinking coffee at one of her favorite local cafes, or having a sci-fi pizza party at home with her partner and two cats.